UID - which is the 12-digit number given on your Aadhaar card - is now to be quoted compulsorily for a number of essentials. Recently, deadline for obtaining Aadhaar card for government subsidies was extended. Aadhaar card is now to be quoted compulsorily for carrying out a number of essential tasks. 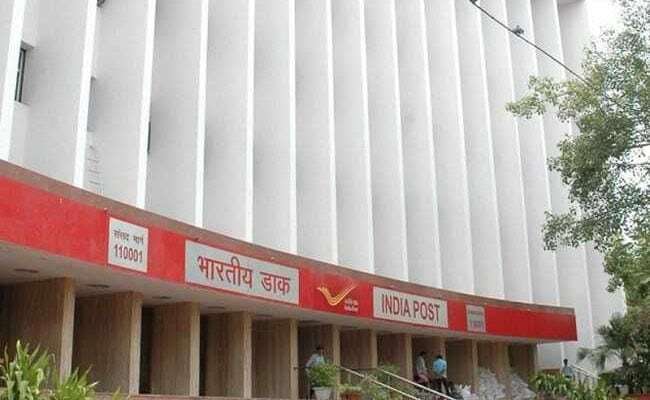 The list ranges from filing of income tax returns (ITR) and applying for a PAN card to participating in social security schemes, using mobile SIM cards and now even for operating a post office deposit account and making PPF (Public Provident Fund) investments. Aadhaar number or Unique Identity Number (UID), the 12-digit identity number issued by the UIDAI or Unique Identification Authority of India, is based on your biometric data - collected through fingerprint and iris scans. The government has mandated quoting of Aadhaar in order to avail all these facilities. Different deadlines have been specified for linking Aadhaar card in each case. Recently, the deadline for obtaining Aadhaar card to avail government schemes and subsidies was extended by three months to December 31, 2017. This deadline extension is, however, only for those who are yet to apply for Aadhaar, according to an order issued by the Ministry of Electronics and Information Technology. If you want to open a post office account or invest in the National Savings Certificate (NSC), PPF and Kisan Vikas Patra (KVP) schemes, you have to compulsorily produce your Aadhaar. Those who do not have an Aadhaar card or number as yet can quote the EID or enrolment identity number of their Aadhaar application, the government has said. Existing depositors can update their Aadhaar number till December 31, 2017, according to a notification issued by the Ministry of Finance. In August, the Central Board of Direct Taxes extended the last date for linking of Aadhaar with PAN or permanent account number. The new deadline given by the taxman is December 31, 2017. Earlier, this deadline was August 31, 2017. Linking of Aadhaar with PAN is mandatory for processing of ITRs for assessment year 2017-18, the Income Tax Department has said. "If this linking (PAN-Aadhaar) is skipped, the return could be considered invalid and the person may have to file it again, which shall be considered belated and may attract penalty, interest and other consequences like disallowances for losses," said Sandeep Sehgal, director of tax and regulatory at Ashok Maheshwary & Associates LLP. Telecom companies such as Bharti Airtel, Vodafone India and Idea Cellular have been sending alerts to customers about completing the process of linking Aadhaar card with SIM (mobile number). "As per the government directive, linking Aadhaar to your mobile number is mandatory for all existing customers," Bharti Airtel, the country's largest telecom operator, said on its website. Bharti Airtel, Vodafone and Idea Cellular also detailed the methods to link Aadhaar with SIM for their subscribers. Responding to a query in a series of posts on microblogging site Twitter, Vodafone India said: "Aadhaar based re-verification is to be done only once on a number. As per the instructions received from DoT (Department of Telecommunications), it is mandatory that the E-KYC (Aadhaar-based) re-verification needs to be completed before 6th Feb 2018 by all Telecom operators." Those already holding bank accounts are required to furnish the Aadhaar number - the 12-digit identity number given on Aadhaar card - issued by the UIDAI by December 31, 2017, failing which the account will cease to be operational, according to a revenue department notification. The Aadhaar number has to be furnished for availing of all social security schemes. The deadline set for this is also December 31, 2017. In order to avail pension, LPG cylinders or government scholarships, one must provide his or her Aadhaar card details. Meanwhile, the government also plans to make linking of Aadhaar mandatory for driving licence. "It (Aadhaar-licence linking) would be done soon to check the menace of multiple licensing," Electronics and IT Minister Ravi Shankar Prasad has said.